Alcoholism and other drug dependencies in our society have reached epidemic proportions. Physicians are in an excellent position to help prevent the diseases, to diagnose it, to aid families in getting addicts into treatment, and to play an important role in long-term recovery. This text was written for medical students, interns, residents, and practicing physicians who daily come in contact with chemically dependent individuals and their families. It should also be helpful to physicians who treat chemical dependence, as well as to other health professionals, including psychologists, marriage and family therapists, social workers, and alcohol and drug counselors. 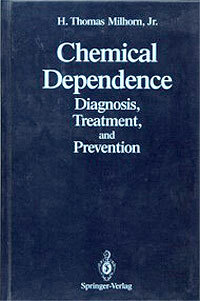 The book is my concept of what a medical school curriculum in chemical dependence should be. It has been used in a one-year addiction medicine fellowship at the University of Mississippi School of medicine. The fellowship was open to anyone who had completed a family medicine, internal medicine, pediatrics, or psychiatric residency.